We have a terrific variety of plants, trees and shrubs in our garden - thanks to the design and gardening skills of Hilary and Pat, the previous owners of Froggarts Cottage. 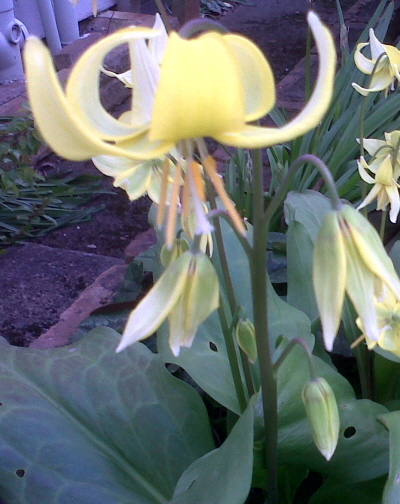 One of the loveliest spring flowers is the Dogs Tooth Violet. 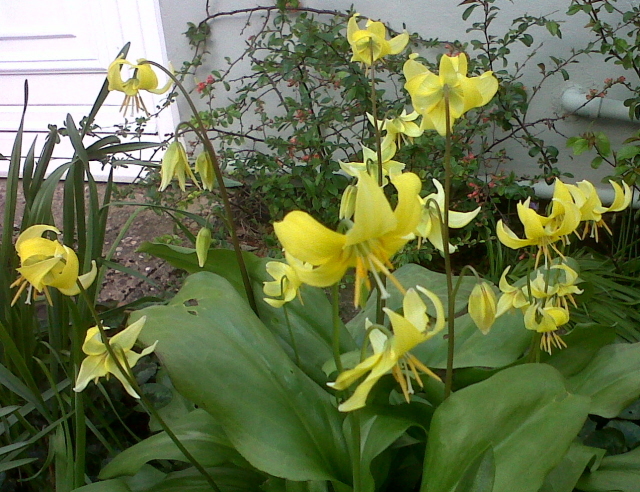 They are also called Yellow Adder's Tongue and Trout Lily but their proper Latin name is Erythronium Americanum. I think they rather like shade and damp, but we had some in the fern garden which flowered each year but this year no leaves or flowers and I think they were drowned in the awful wet we had over the winter. 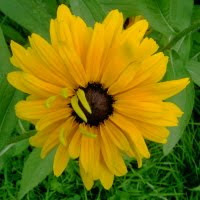 There's a nice description of the Dogs Tooth Violet - which is actually a lily - on the Old and Sold website which is about auctions and old stuff but has a really eclectic selection of articles (old and new) about stuff.